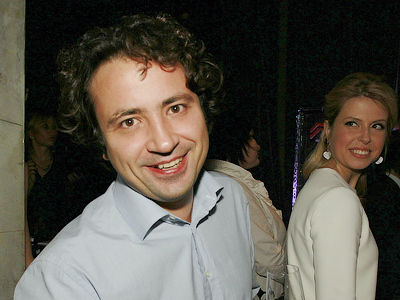 Russian tycoons took two of the top three spots in this year's Sunday Times Rich List. Despite the economic turmoil that has swept Europe over the past year, Britain's moguls have seen their stock increase to a record £414 billion. ­This impressing figure is a 4.7% increase on 2011. Steel tycoon Lakshmi Mittal (£12.7 billion) topped the annual list, which identifies the wealthiest 1,000 people living in Britain today, with jowly metals magnate Alisher Usmanov (£12.3 billion) close behind in second and Roman Abramovich (£9.5 billion) in third. While Europe's denizens are seeing their pay packets frozen while unemployment rises as a result of biting austerity, this year's rich list suggests that life for their paymasters is getting sweeter. Prime Minister David Cameron's plea that “we're all in it together” does not seem to have been heeded by the wealthy, many of whom have not only managed to ride out the recession but have added to their fortunes. Unsurprisingly, wealthy Russians feature prominently on the list, with Usmanov and Abramovich consolidating second and third places respectively, despite modest decreases in their fortunes. While Uzbek-born Alisher Usmanov may have seen his wealth slide slightly over the past year primarily due to charitable donations, he is comfortably ahead of third-placed Abramovich, whose fortune has also dipped over the past year. 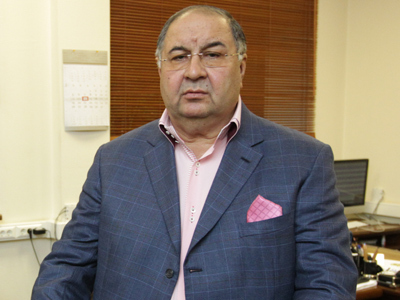 Usmanov's main source of wealth is his 45% holding in London-listed metals mining and trading company Metalloinvest. He has also built a small but valuable stake in Facebook, which could be worth up to $2.3 billion according to some estimates. And his passion for English football has seen him build up a 30% stake in the Arsenal football club, worth a reported £294 million. He may still be the UK's third-richest resident, but this year hasn't been all plain sailing for one of Russia's most recognizable oligarchs. 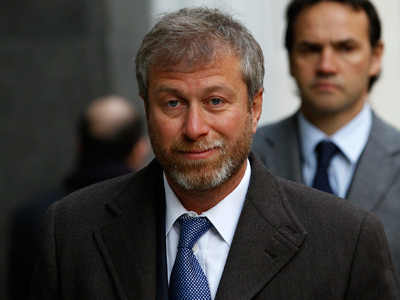 A very public legal tussle with exiled baron Boris Berezovsky brought an otherwise publicity-shy Mr. Abramovich and his past business dealings into full public view in London's High Court. 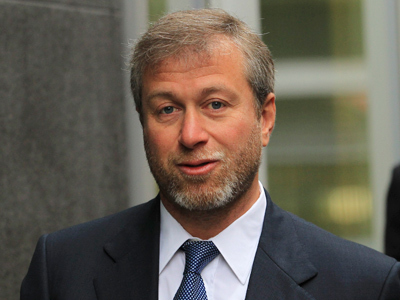 Best known in the UK for his ownership of Chelsea FC, it has also been a mixed season on the pitch for Abramovich. Although Chelsea recently qualified for the Champions League final, the side struggled in the league, forcing Abramovich to fire the manager he had only just hired mid-season, at great expense. Usmanov and Abramovich are just two of a number of Russians who made it on to the list this year. Others include Alexander Mamut, who last year purchased the struggling book chain Waterstones. And new to the list this year is Elena Baturina (£700 million), Russia's wealthiest woman and the UK's 14th. She is the wife of former Moscow mayor Yury Luzhkov, who moved to London following the ousting of her husband in 2010. Baturina, who made her fortune in construction during Moscow's property boom of the last decade – she claims this was unrelated to the fact that she was the wife of the city's mayor – sold her company Inteco for over £1 billion and now lives in leafy Highgate, an area that has been popular with Russians for several decades. London continues to appeal to Russia's wealthy because of its favorable "non-dom" tax regime, strong property laws and, in certain cases, the refusal of the English courts to extradite them to Russia to face criminal charges. Baturina is not the only self-made female multi-millionaire on the list. JK Rowling (£560 million), author of the Harry Potter books, saw her fortune increase as well. Both women are comfortably ahead of the Queen, who continues to slide down the list, coming in this year at number 262 with a paltry £310 million.